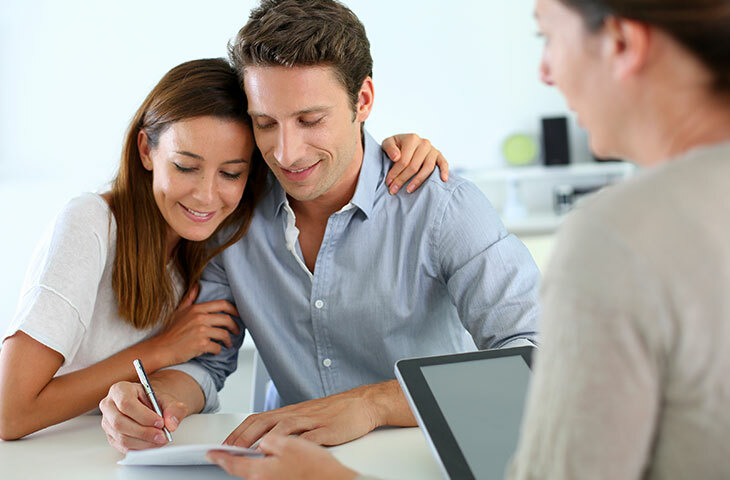 When it comes to finding the right mortgage, it makes sense for you to use professionals who know the business, the mortgage lenders, and the products. Not only will this save you time, it will save you money and you will get the mortgage that suits you best. Our independent brokers are experienced and are professionally qualified Financial Advisors. They operate with a panel of many lenders representing the whole of the market, from major high street banks to more specialist lenders for unusual needs. Our broker is independent and will search the entire market for you and provide exclusive mortgage deals and rates, expert, free mortgage advice, and can do all the paperwork for you! Please do not hesitate to contact us for further information about this service, in the meantime please feel free to read the below guide in order to consider the costs and responsibilities around purchasing your new home. A fee charged by lenders to cover the cost of setting up the mortgage. Some lenders waive this fee. Our independent mortgage advisors will provide you a free, no obligation quote which will include all relevant fees and options there are. In addition to this, the mortgage advisors can arrange an ‘agreement in principle’ which is a conditional offer made by a lender based on the information you have given them. Having this should speed up the full mortgage application process when you have found your dream home. This will also show an agent that you are serious about purchasing. For your contribution towards the purchase price, you will normally need to take out a mortgage. Most mortgages require you to repay the loan by monthly payments; the amount you can afford to borrow will depend on your income and savings. Additionally, most mortgages require a minimum deposit payable prior to completion of your property, your mortgage advisor will discuss this requirement in order to ensure your receive the best policy related to your needs and financial situation. When you arrange your mortgage you should consider whether you would benefit from the security provided by Mortgage Payment Protection Insurance (MPPI). There are many such policies available and their terms and conditions vary considerable. You should seek advice from your lender and/or an independent financial adviser to find out whether MPPI will be of benefit to you and to decide on a policy that will suit your needs and give you the cover you require. You will be responsible for your own legal costs and the costs of getting a mortgage for your contribution to the purchase price of the home. When arranging a mortgage, you will normally have to pay the lender a fee. This fee covers a valuation of the property to assess whether it is actually worth the price being paid for it. In addition to this, you may wish to have a more detailed survey, to include a home buyers report and / or a full structural survey. This can be in the region of £1,000.00 depending on the age, type and value of the property. You will need to instruct a solicitor (cannot be the same as a vendors solicitor) to deal with all legal aspects of purchasing a property. Stamp duty is a tax you may have to pay if the home you buy is above a certain price. Your legal representative will inform you about any stamp duty. When you buy a home, your solicitor has to arrange for its details to be registered at a government office, the Land Registry. You will need to pay a fee for the registration (your solicitor will tell you how much this will cost but this is normally in the region of £40 or more and will depend on the property price). Local searches are carried out by your solicitor to ensure there are no potential issues such as pending or approved planning permission on neighbouring properties or new roads nearby. The fee will depend on your local authority of where your new home is located. You will have to insure your home in case your property is damaged or destroyed by fire or similar disaster. This is called Buildings Insurance. As well as insuring the building, you may wish to insure your belongings and furniture. You should take your own independent financial advice before making any commitment. If you buy a flat or maisonette, you will have to contribute towards the upkeep of the building. The person who owns the block of flats (called the freeholder/landlord) will be responsible for repairing and maintaining the outside of the building and any common parts. The costs of work will be listed in a service charge, which each flat owner has to contribute to. When you buy a home of your own, you have to pay for all repairs needed to the property. You will also need to pay for gas, electricity and water supplied to your home and Council Tax.